Thanks for the pep talk on the 13-cm band in Geoff Krauss' VHF+ Technology column (December 1989). Most of the equipment referred to in the column has been described in the literature, so I was disappointed that a list of references was not included. Rather than complain about it, I made one up. It is certainly incomplete, and I apologize to all the missing authors; but it is better than nothing. Most of these articles are still available; all of the Proceedings are currently available at half price from Amateur Electronic Supply in Milwaukee, Wl (tel 800-558-0411). 1. It is amazing how well a few milliwatts of SSB, a small dish or loop Yagi, and a reasonable noise figure works at 13 cm from a hill top. VUCC can easily be worked with 500 mW, a loop Yagi or two foot dish on a small camera tripod and an MSA 0685 receive preamp. 2. Duplex stations, as shown in Fig 1 in the VHF + column, were useful ten years ago, but are now obsolete and should not be promoted for any amateur microwave band. We now have weak signal calling frequencies at 2304.1, 3456.1, 5760.1 and 10368.1 MHz. Duplex operation in the '90s serves only to increase the score of the multiop contest station at the expense of other microwave activity. New equipment should be capable of working on the calling frequencies! 3. A significant feature of the more recent trans-verter and preamp designs is "no tuning." No tuning is made possible by the use of modern, broadband 50-ohm devices, modem band-pass filter designs, and well-characterized discrete microwave GaAsFETs. No-tuning designs work at least as well as their tuned ancestors, especially when the temperature, voltage or drive level changes. A significant advantage of no-tuning designs is that active devices are field replaceable. Para 2~ The semi-duplex station (which is not full duplex, as it will not continuously receive when keying during transmit) was intended to show an early-1980s rig; the basic thrust of the column was to the newer transverters, but. . the semi-duplex rig may, under certain circumstances, be cheaper and easier, and may be more useful in some experimental situations. Bottom line: Let the VHF + er consider both, and choose the more appropriate, as long as you get on the band! Campbell, Richard L, KK7B, "A No-Tuning Crystal Controlled Microwave Local Oscillator," Proceedings of the 21st Conference of the Central State VHF Society, Arlington, TX, July 1987, pp 47-50. (ARRL: Newington, CT) Campbell, Richard L., KK7B, "A Clean Microwave Local Oscillator," Proceedings of the 21st Conference of the Central States VHF Society, Arlington, TX, July 1987, pp 51-57. (ARRL: Newington, CT) Campbell, Richard L., KK7B, "9 and 13 cm Transverters," Proceedings of Microwave Update '87, Estes Park, CO, September 1987, pp 12-21. (ARRL: Newington, CT) Campbell, Richard L., KK7B, "2.3-GHz Transverters," Proceedings of Microwave Update '88, Estes Park, CO, pp 9-32. (ARRL: Newington, CT) Campbell, Richard L., KK7B, "A Single Board No-Tuning 23-cm Transverter," Proceedings of the 23rd Conference of the Central States VHF Society, Rolling Meadows, ft, July 1989, pp 44-52. (ARRL: Newington, CT) Campbell, Richard L., KK7B, and Don Hilliard, W0PW, "A Single Board 900 MHz Transverter with Printed Bandpass Filters," Proceedings of Microwave Update '89, Arlington, TX, October 1989, pp 1-8. (ARRL: Newington, CT) Campbell, Richard L , KK7B, "A Clean Low-Cost Microwave Local Oscillator," QST, July 1989, pp 15-21. 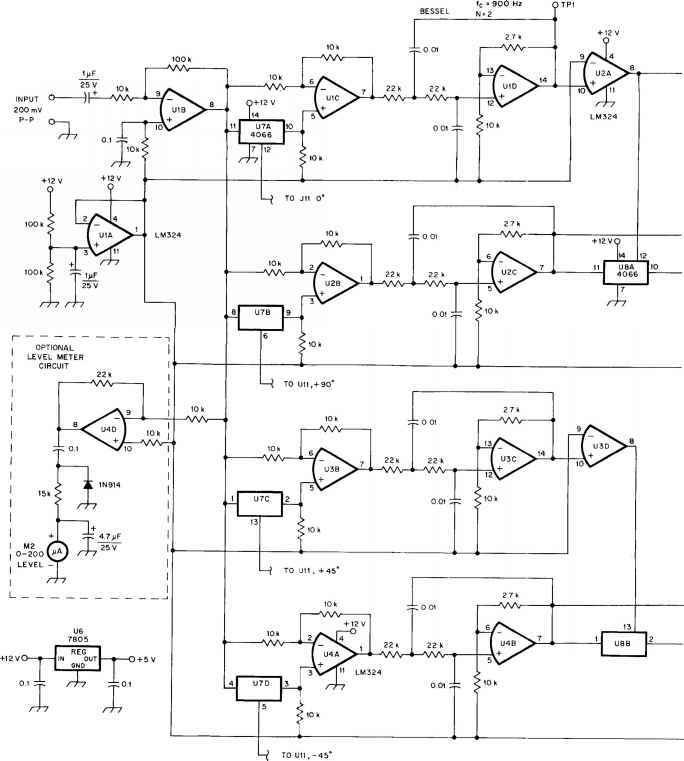 Campbell, Richard L., KK7B, "Single Board Bilateral 5760-MHz Transverter," Feedpoint, Vol 3, No. 6, Nov/Dec 1989, pp 13-16, North Texas Microwave Society. Dahms, Jurgen, DC0DA, "The Microline 3 Transverter System—The Breakthrough in 10-GHz Experimental Communications, Part 1," VHF Communications, Vol 21, No. 2, Summer 1989, pp 95-102. I would like to clarify a couple of points in my May 1990 QEX article, "Pseudo-Sync: A Terminal Program for Mode B AMTOR, Part II." While these may seem to be minor points, they are crucial to gaining a clear understanding of how Pseudo-Sync works. The shifting of data from the mailbox into the proper SAB occurs when the sample counter reaches seven. When correcting for a time displacement, this is not after seven samples have been taken for the mailbox. In the example cited where the sampler fills the mailbox beginning with bit two, the sample counter begins at two, also. Therefore, the sampler takes only six samples. The seventh sample, needed for a complete SAB, is already present in bit one. This sample, obtained for the previous SAB, may introduce an error. However, the voter renders the error, if it exists, insignificant. A short while ago the editor of QEX kindly printed a note from me announcing the formation of a Coherent CW Group. So far we have recruited about fifty members of which several should shortly be on the air using this mode. I feel that wider publicity may help and would be much obliged if you could afford a little space for this letter. No subscriptions are being asked from members outside the United Kingdom, though help with postage is always appreciated. We have a list of available information and issue a short Newsletter about every two months. Anyone interested is invited to contact Peter Lumb, G3IRM, at 2 Briarwood Avenue, Bury, St. Edmunds, Suffolk IP33 3QF, England.